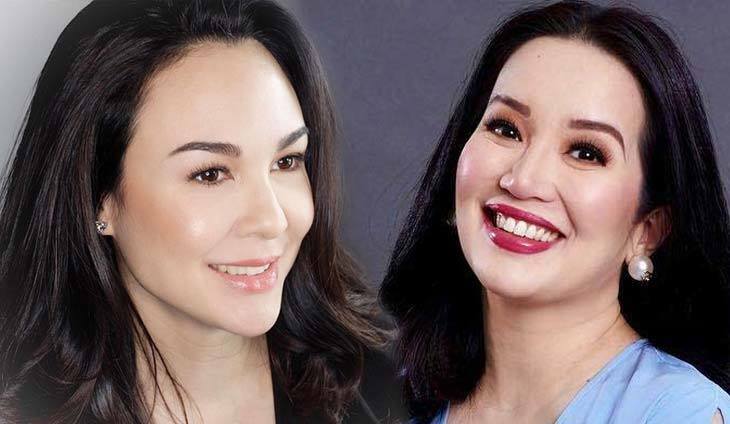 Celebrity Gretchen Barretto has dropped a bombshell against celebrity Kris Aquino to debunk the latter’s claim that she has always had the national interest at heart. Barretto, the partner of bilyonaryo Tonyboy Cojuangco (Aquino’s cousin), accused Aquino of helping businesswoman-socialite Alice Eduardo evade her massive tax dues from the Bureau of Internal Revenue. Barreto had previously sided with Aquino’s estranged manager, Nicko Falcis, in their bitter and public dispute over the break up in their business partnership. “There’s a reason why I’m dipping my fingers into her issues. Whether you bash me or not, I will tell the truth. Kris, if you really love the Philippines, you should have protected the interest of Filipinos at that time when your brother was in power. She (Eduardo) should have paid the right taxes because the Filipinos would reap the benefits of correct tax payments,” she added. Barreto claimed that she had second thoughts about revealing Eduardo’s alleged secret tax deal with former BIR Commissioner Kim Henares which was brokered by Aquino. “I hate to do this to Alice, she means a lot to me,” said Barreto. “I have ‘tampuhan’ with her sister but I refuse to say her name because does not fit her. She has a small body but with a big attitude,” said Barretto referring to Eduardo’s sister, Small Laude, wife of bilyonaryo Philip Laude. economic zone, is a close associate of Japanese gambling tycoon Kazuo Okada, the main partner of Cojuangco in Okada Manila casino. Barretto promised to drop more bombshells against Aquino. Abangan! The businessman knows his longtime partner so well. The business magnate showed off his funny and playful side!